Description: The beautiful palace Randagad was built in Danaan era, the Great King of Okis. It was impregnable. There were hundreds and hundreds of halls and galleries in the subfloors that were connected by the endless galleries above. Their soaring towers guarded around night and day and nothing escaped its watchful eye. It was built almost in the mountains and its solid walls separated it from deep pits ending in curled canyons. Beyond was the South Sea. It was completely covered by white marble, radiating multicolored lights on contact with the sun and those who watched told wonderful stories about the magnificence of this castle, which caught the eye of the greedy, evil and despotic servants of Ahriman, Lord of shadow. 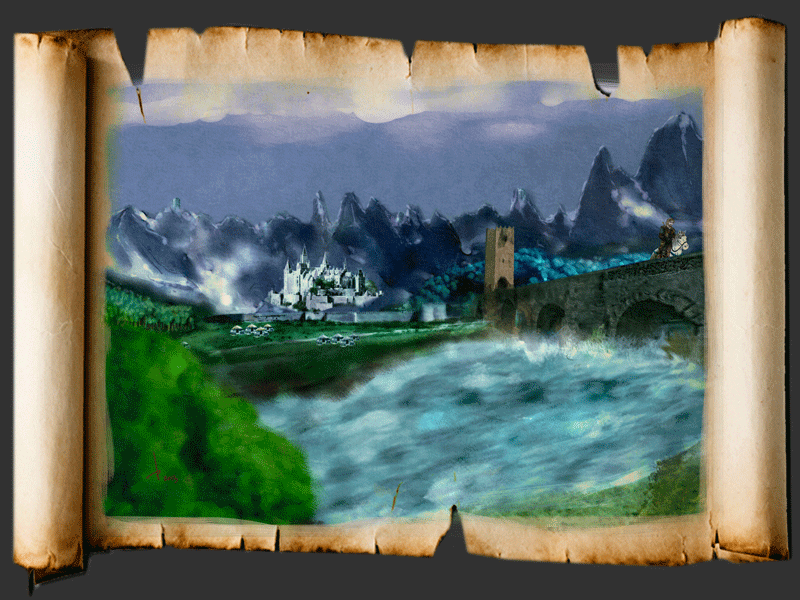 The Corraniaid river, the only thing that was able to hear all voices of the okis even those that brought the wind of the unknown lands ... ran outside the palace. 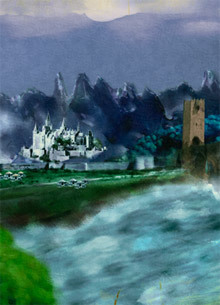 A solid stone bridge crossed it, and connected the castle with dangerous forest land. The same bridge was crossed by King Okizar when he was looking for his fateful destiny.